Mediocrity kills education, business, the health systems, the Church...I taught the play Amadeus for years at the college and university level. 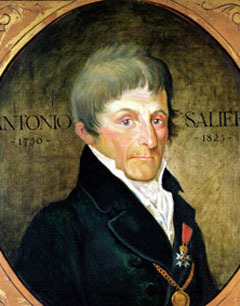 Some of my students "got it"
Salieri turned his back on God when the composer did not get the fame and fortune he desired. He wanted to be the best, but God gave talents superior to Salieri to someone else. Salieri refused to be purified and scorned God, choosing evil. Salieri knew that he was mediocre and, therefore, thwarted Mozart's success. Remember Salieri calling himself the patron of the mediocre? Those who are mediocre hate those who are gifted and reaching for perfection. Whether the play is really "truth" or not does not matter, as the main idea resonants in this day and age. Those who are superior in any way, daily, are shut down, marginalized, condemned. This is the message of the Common Core Curriculum. My parents had trigonometry and calculus in high school. Gone are the days of classical education in this country. Cooperate with the purification of the Dark Night and allow God to give you the graces of the Illuminative State. Why? Because the Church needs holy lay people. 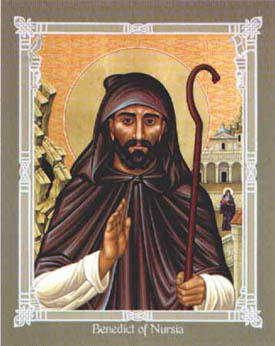 Quit moaning about poor clerical leadership and become the saint God has called you to be. We are no longer children past middle-twenties. There are no excuses in wallowing in a long adolescence spiritually. And, the many, many young saints, I have highlighted on this blog, put us older ones to shame. Mediocrity cripples the Church and may even destroy the presence of the Church in certain areas. When the liturgy recalls these words during Advent and at the beginning of Lent, it addresses not only souls in the state of mortal sin that are in need of conversion from evil to good, but also many Christians already in the state of grace who are still very imperfect and have to be converted from a relatively mediocre to a fervent Christian life. On Ash Wednesday it recalls to them Joel's words: "Now, therefore, saith the Lord: Be converted to Me with all your heart, in fasting and in weeping and in mourning. And rend your hearts, and not your garments, and turn to the Lord your God; for He is gracious and merciful, patient and rich in mercy, and ready to repent of the evil." (7) These words are so much the better understood in proportion as the soul that hears them is more advanced and, although in the state of grace for many years, feels the need of a more profound conversion, the necessity of turning the depths of its will more completely toward God. The laborer who has plowed a furrow goes over it a second time to force the plow deeper and turn over the earth which must nourish the wheat. Do not turn your back away from suffering or complain about suffering. See this time of purification as the great preparation for the Illuminative State. How desperately does the Church need saints now. Do not keep saying, "If only we had holy priests." If only we had holy lay people. "Such people ordinarily direct their lives by the common feeling of those with whom they live, and as the latter are imperfect, although their lives are not disorderly, they will never reach the sublime ways of the spirit, because the number of the perfect is very small. They live like the ordinary run of people, and their manner of governing others is imperfect. A friend of mine was raised and lived in Russia most of her life. She has been talking to me about what is really happening in the Ukraine and in Russia. Once a KGB man, always a KGB man. Over the last two-thousand years, theologians have tried to decipher what St. Paul meant by this phrase on boldface type below. 7 And lest the greatness of the revelations should exalt me, there was given me a sting of my flesh, an angel of Satan, to buffet me. 8 For which thing thrice I besought the Lord, that it might depart from me. 9 And he said to me: My grace is sufficient for thee; for power is made perfect in infirmity. Gladly therefore will I glory in my infirmities, that the power of Christ may dwell in me. 10 For which cause I please myself in my infirmities, in reproaches, in necessities, in persecutions, in distresses, for Christ. For when I am weak, then am I powerful. Some claim it was an opponent, but most Catholic commentators in the past, note that this was a physical disability, or illness, of some sort. 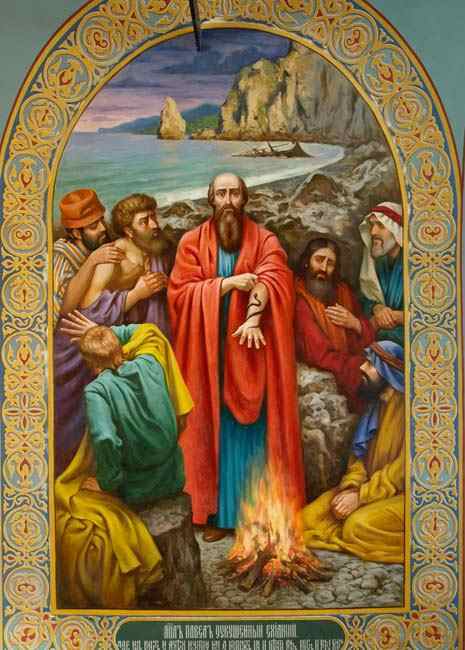 Now, having endured the second worst winter of asthma in my life, and still not free from this keeping me up almost all night, I can identify with the Great Apostle to the Gentiles. One can pray and ask to be delivered from a physical oppression, but God does not always answer these prayers. The same has been true of many saints. Padre Pio and John Vianney were allowed by God to be oppressed by many outside enemies, even those in their own dioceses and, in Padre Pio's case, his own order. They also had trouble sleeping as the demons were allowed to keep them awake at night. Too many Catholics believe that if one is suffering, it is not God's Will. Have eye problems-not serious-but keeping me off the computer today. A Real Leader -- Yea, Bishop! but especially during the hours of the night. but they shall be read at other times. in some work assigned them. no one shall be allowed to say anything from that time on. let her undergo severe punishment. or if the Abbess should give someone an order. and the most becoming restraint.